Let’s be honest, there isn’t enough of it, yes, there is a great amount of what a kettlebell trainer would not include in a workout (American Swings). 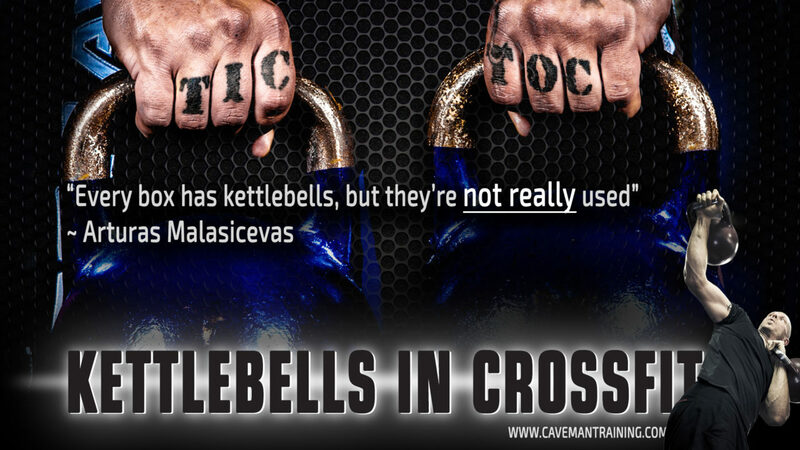 Yet the kettlebell is a far more superior tool to the barbell in many ways, not all ways, but in many ways. Wait, don’t go rushing off before you read everything below. Open your mind for a few seconds please, if after reading all and you still think I’m wrong or dropped one kettlebell on my head too many, just let me know below. Some background on me, I have written about this before, but I’m elaborating on this article. I’ve started training many years ago, then opened three gyms and got certified in several different training styles. My first experience with training is all barbell work, loved it, still do, at the right time and place. Then I started learning more about kettlebells, as I learned the finer techniques about them I discovered that they’re simply safer and more effective when used correctly. Taco Fleur is IKFF Certified Kettlebell Trainer, Kettlebell Level 1 + 2 Trainer, Kettlebell Science and Application, CrossFit Level 1 Trainer, MMA Conditioning Level 1, MMA Fitness Level 1 + 2, Punchfit Trainer and Plyometrics Trainer Certified with a purple belt in Brazilian Jiu Jitsu. OK, before we go further, let’s address the first thing everyone will say, hell, I even said it, until I started thinking about it properly. “THE KETTLEBELL IS NOT HEAVY ENOUGH“ And you can load the barbell with 200kg or more. Yes, correct, if we’re only talking about squatting and deadlifting, then at some stage the 48kg or double 48kg/96kg might not be heavy enough anymore. But even that kind of weight is not something someone just picks up and lifts within a period of a couple of months, maybe not even a couple of years, unless training seriously, super hard and last name is Froning. On that note, I should mention that I’m personally of the opinion that super heavyweights should be left to powerlifters who focus on that kind of stuff. When I say super heavy, I’m talking about approx. more than 1 ½ bodyweight. That kind of stuff mixed with high intensity is an accident waiting to happen for the majority of people. No, I’m not saying replace all barbell work with the kettlebell, I’m promoting to get more kettlebell work in CrossFit. They can ALL be done with a kettlebell, the best part is, you can do more with a kettlebell and it’s much safer, the problem with the kettlebell is that there are some finer little techniques you need to learn, most CF trainers aren’t able to teach those or not aware themselves, thus the kettlebell becomes an annoying tool that bangs on the wrist and is awkward to press up, clients are starting to injure themselves, they get annoyed and that’s the end of the kettlebell in CrossFit. All of the above can be avoided with proper coaching. Proper time should be spent on the swing and needs to be mastered before allowing someone to swing a kettlebell in a WOD, remember regression, give them kettlebell hip hinges, lower volume, if the WOD calls for 100 swings, then get those that have not mastered the swing to do 50 instead and break it up, 5 hang lifts hip hinge style (not squat) and 5 swings, there are many other ways to regress and progress, but the job is with the coach. Do not progress them until proper pendulum motion is understood and proper glute activation is seen, end of story. Kettlebells banging on the forearm are a quick way to get someone to hate kettlebells and give up on them quickly, but there are plenty of progression and regressions that should be and can be implemented, the same goes for the wrist problem. A kettlebell is not intended as something to throw into a general workout routine for “something different” it’s a practice and a discipline similar to yoga or martial arts. Learning to use the kettlebell properly is critical. and the Facebook group here. Become part of the project. The kettlebell allows you to work unilaterally and move separately, this is especially important when it comes to pressing, the shoulders are an incredibly complex joint that requires extreme attention when working out. Kettlebells allow you to move and adjust freely during movements. Take a barbell and there is no lateral out/inwards movement or adjustments that can be made during a bad rep.
Press 60kg with a barbell and your dominant side will take over when fatigue sets in and mind-muscle control take a lower priority. Press two 30kg kettlebells and there is no cheating, you either press both or you don’t, it’s as simple as that. With the barbell the wrists are hyperextending the majority of the time, especially in racking position and most people even press with hyperextended wrists. With the kettlebells after a proper insertion, the wrists are straight and the weight is supported by the forearms. Consider the angle of the hand; with a barbell your palms are facing forward, this is the only position they can be in, there is no alternative. With kettlebells you can adjust the angle of the hand from facing forward to facing inwards, providing a better base of support and less chance of injury. 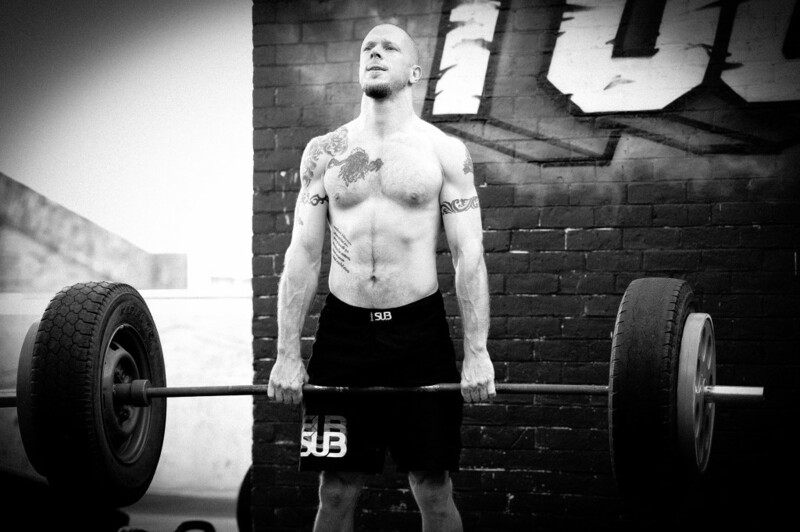 I certainly believe the barbell has a place and time at which it should be used in moderation depending on the moves. I find that the barbell great for deadlifts and squats, especially when you need to go heavier than kettlebells allow. With kettlebells you’re looking at around 96kg max for deadlifts. The deadlift and squat are also non-ballistic movements and therefore quite suitable to the barbell. I’ve made it part of my mission to introduce more kettlebells into WODs, through videos, articles, and workshops. Numerous aspects present themselves in an of this statement alone. Supportive to lend my expertise when I coached a top Cross Fit competitor at the games, we went over a thorough episode of teaching and practicing correct KETTLEBELL lifting technique, soon as we took to the lifting segment the judge instructed and required my athlete to perform the kettlebell lifts incorrectly. Another aspect is the central nervous system response in heavy lifting in traditional weight lifting modes versus movement lifting as in use of the kettlebell as it is sustained strength for speed. The pint of using such a fine implement is you can go longer stronger with more complete and connected strength. The stimulus is constant and equal on your muscle and your connective tissue thereby reasonable progression will greatly decrease the likeliness of injury. The manner which kettlebell is lifted is a fluid constant bringing all of the linkage in the body to work integrated rather than isolated. As a former bodybuilder and weight lifter I enjoy greater complete strength in performing the original kettlebell lifts and can say in the past 9 years never have been injured and previous imbalance or discomfort is gone. A kettlebell is not intended as something to throw into a general workout routine for “something different” it’s a practice and a discipline similar to yoga or martial arts. 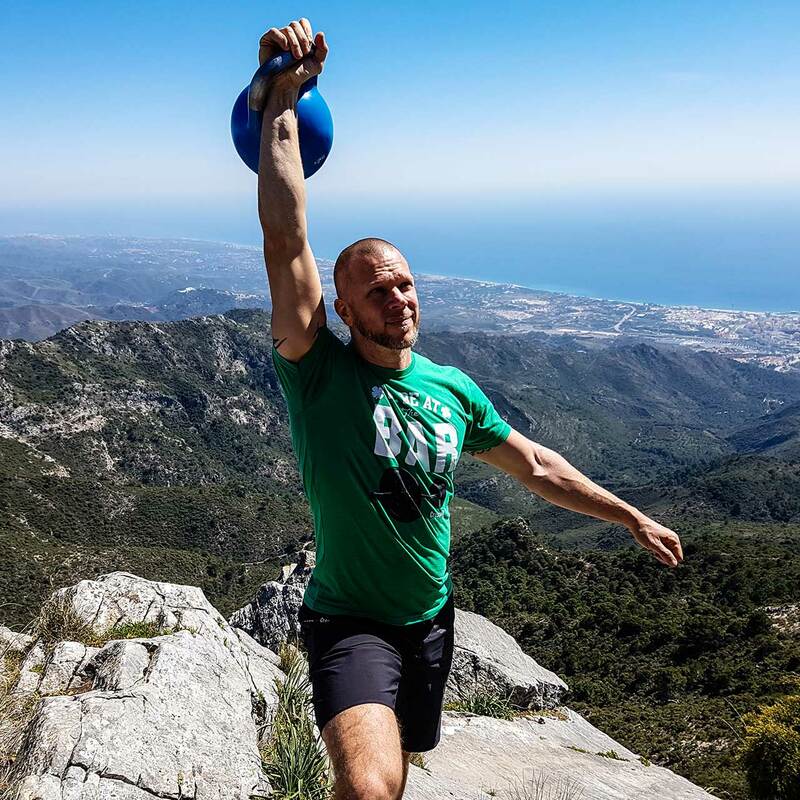 Learning to use the kettlebell properly is critical and I’m always ready to willing to assist new people or seasoned athletes with proper protocol and this is what the cross fit world could really benefit from. Providing safe and effective instruction and use is in all of our best interest to allow everyone to have a positive experience. I leave you with a great exercise to include in your EMOMs to increase pressing strength and get past sticking points, and as always, your comments below or on our Facebook please.